You are welcome at our 2017 reading group meetings. Please take a moment during the week before the meeting to call or email the host and respond to this invitation. Also, if possible, bring something for the tea table. The reading group meets five times each year: January, March, July, September, and November. We meet at 1:00 p.m. on the second Sunday of the month. Check our region’s website for updates and look for personal email reminders. If you have a question about the reading group, please call Bill Boyd at (503) 230-9099 or email him at wjboyd.ipad@gmail.com. You may also email Margaret Christmann at jasna.orswwa@gmail.com. 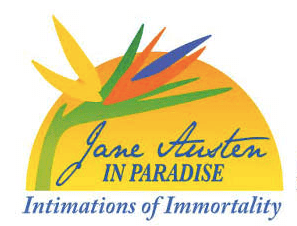 Discussion Topic: 2017 AGM Topic: Jane Austen in ParadiseThe world after Austen: adaptations, allusions to, etc. Her influence in literary and popular culture.